Below you fill find all funeral homes and cemeteries in or near Beaver City. Beaver City is also known as: Furnas County / Beaver City city. Zip codes in the city: 68926. Furnas County funeral flowers can be purchased from one of the local funeral shops we partner with. Beaver City is a city in Furnas County, Nebraska, United States. The population was 609 at the 2010 census. 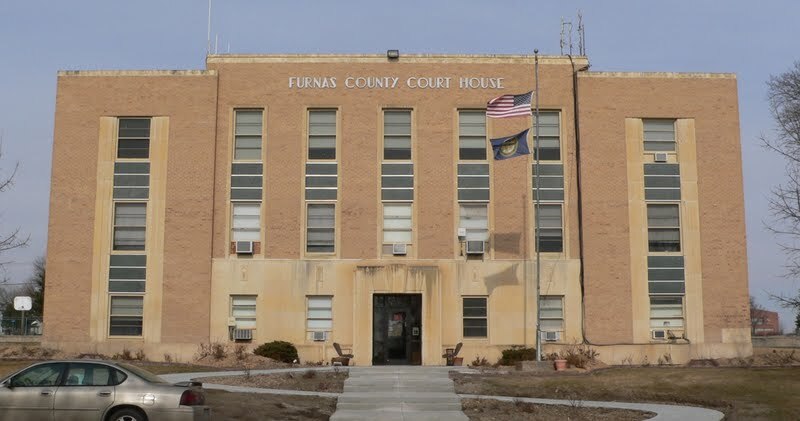 It is the county seat of Furnas County. It was revealed by Kearney Hub on March 30th, 2019 that Jean P Tauscher died in Beaver City, Nebraska. Tauscher was 94 years old. Send flowers to express your sorrow and honor Jean P's life. It was noted by McCook Daily Gazette on February 22nd, 2019 that Mary Ellen Dunlop (Cassidy) passed away in Beaver City, Nebraska. Ms. Dunlop was 64 years old and was born in Philadelphia, PA. Send flowers to express your sympathy and honor Mary Ellen's life. It was reported by Kearney Hub on February 21st, 2019 that Betty L Marshall (Yarrington) passed on in Beaver City, Nebraska. Ms. Marshall was 81 years old. Send flowers to share your condolences and honor Betty L's life. It was revealed by Kearney Hub on January 10th, 2019 that John Ernest "Ernie" Stalder passed on in Beaver City, Nebraska. Stalder was 92 years old and was born in Long Island, KS. Send flowers to express your sympathy and honor John Ernest "Ernie"'s life. It was written by Kearney Hub on November 1st, 2018 that Lois Dorothy Tams (Schmalken) perished in Beaver City, Nebraska. Ms. Tams was 97 years old. Send flowers to express your sorrow and honor Lois Dorothy's life. It was disclosed by Kearney Hub on October 31st, 2018 that Lois D Tams perished in Beaver City, Nebraska. Tams was 97 years old. Send flowers to share your condolences and honor Lois D's life. It was noted by Kearney Hub on October 28th, 2018 that Janice Irene Perdue (Lange) perished in Beaver City, Nebraska. Ms. Perdue was 64 years old. Send flowers to share your condolences and honor Janice Irene's life. It was disclosed by Grand Island Independent on September 1st, 2018 that Leslie M Rev Cole died in Beaver City, Nebraska. Cole was 81 years old and was born in Gouverneur, NY. Send flowers to express your sympathy and honor Leslie M Rev's life. It was revealed by McCook Daily Gazette on August 31st, 2018 that Leslie M Rev Cole passed away in Beaver City, Nebraska. Cole was 81 years old. Send flowers to express your sorrow and honor Leslie M Rev's life. It was noted by McCook Daily Gazette on August 1st, 2018 that Kenneth Joe Doherty perished in Beaver City, Nebraska. Doherty was 84 years old. Send flowers to express your sympathy and honor Kenneth Joe's life. The population was 641 at the United States Census, 2000 census. It is the county seat of Furnas County . Beaver City is a city in Furnas County, Nebraska County, Nebraska, United States. . .
Kathy of Beaver City, and Rex Wilmot of Lebanon, Nebraska; and two grandaughters. Funeral services are Saturday, 10:30 a.m., at the Baptist-Christian Church in Wilsonville with the Rev. Keith Theobald, officiating. Burial will follow at Wilsonville Cemetery. Wenburg Funeral Home in Beaver City & Arapahoe, Nebraska is a full service funeral home offering complete funeral services along with pre-arrangements, monuments, and flowers. Listing all funeral homes in Beaver City, Nebraska so you can easily send flowers to any location (same day delivery) or find any funeral service. We work with local florists and flower shops to offer same day delivery. You will find budget sympathy flowers in Beaver City here. Our funeral flowers are cheap in price but not in value.